New Japan Pro Wrestling will be debuting at a legendary pro wrestling venue when they return to California later this year. At Strong Style Evolved in Long Beach tonight, NJPW confirmed that they'll be holding a show at the Cow Palace in San Francisco on Saturday, July 7th. The show will be called a G1 Special, which was the name of the two NJPW events in Long Beach last summer. Fighting Spirit Unleashed appears to be the tagline for it. 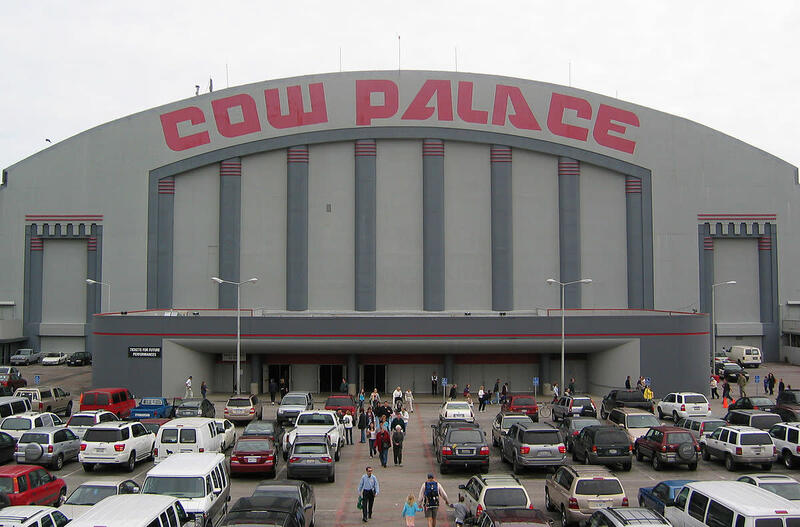 Dave Meltzer reported earlier this month that NJPW had a preliminary hold on the July 7th date at the Cow Palace. Meltzer noted that the listed capacity for pro wrestling is more than 14,000 people. This year's G1 Climax tournament will begin at Ota Ward Gymnasium in Tokyo on July 14th. At the 2017 G1 Specials, Kenny Omega won a two-day tournament to become the inaugural IWGP United States Heavyweight Champion. WWE and the UFC both also have shows on July 7th. WWE will be at Madison Square Garden for a house show, which features Ronda Rousey making her MSG debut. For the UFC, Stipe Miocic will be defending his heavyweight title against Daniel Cormier at the T-Mobile Arena in Las Vegas.